This is the first of many useful tools that will become essential in your day-to-day conversations. We will now learn how to express an action that has taken place unintentionally often with unsatisfactory results. This is primarily done by the verb 「しまう」. Let’s look at an example. Kousuke: Did you do homework? When 「しまう」 is used in this sense, it is normal to attach it to the te-form of another verb to express an action that is done or happened unintentionally. As is common with this type of grammar, the tense is decided by the tense of 「しまう」. Oops, I ate that whole cake. I ate cake everyday and I (unintentionally) gained two kilograms. If you don’t eat properly, you’ll (unintentionally) lose weight you know. In the end, I (unintentionally) made [someone] do something distasteful. Sorry about (unintentionally) making you wait! The goldfish died already (oops). In casual speech, the 「～てしまう」 is often substituted by 「～ちゃう」 while 「～でしまう」 is substituted by 「じゃう」. Both 「～ちゃう」 and 「～じゃう」 conjugate just like regular u-verbs. Is it ok if I went home already? It’ll gradually become late, you know. There is yet another very colloquial version of 「～てしまう」 and 「～でしまう」 where it is replaced by 「～ちまう」 and 「～じまう」 respectively. Unlike the cuter 「～ちゃう」 and 「～じゃう」 slang, this version conjures an image of rough and coarse middle-aged man. Sorry, I just ended up calling you unconsciously. You may have noticed that 「しまう」 has another definition meaning “to finish something completely”. You may want to consider this a totally separate verb from the 「しまう」 we have covered so far. Occasionally but not usually, 「しまう」 will have this meaning rather than the unintended action. Japanese can be roughly separated into three levels of politeness: casual, polite, and honorific/humble. So far, we have already gone over the polite forms using 「～です」 and 「～ます」. We will now cover the next level of politeness using honorific and humble forms. You will often hear this type of language in any customer/consumer type situations such as fast food counters, restaurants, etc. For now, the first thing to remember is that the speaker always considers himself/herself to be at the lowest level. So any actions performed by oneself are in humble form while actions performed by anyone else seen from the view of the speaker uses the honorific form. The difficult part of learning honorific and humble language is that there are a number of words that have separate verbs for honorific and humble forms. Anything that does not have its own special expression fall under the general rules of humble and honorific conjugations that we will cover next. A number of these verbs do not follow the normal masu-conjugation rules and they include: 「なさる」、「いらっしゃる」、「おっしゃる」、「下さる」、 and 「ござる」 (which we will soon cover). For all masu-form tenses of these verbs, instead of the 「る」 becoming a 「り」 as it does with normal u-verbs, it instead becomes an 「い」. All other conjugations besides the masu-form do not change from regular u-verbs. We can now begin to see that 「ください」 is just a special conjugation of 「下さる」 which is the honorific version of 「くれる」. Let’s look at some actual examples. Since these examples are all questions directed directly to someone (second person), they all use the honorific form. Alice-san, did (you) eat already? You’re going to give me the favor of writing a recommendation letter? Will I be able to receive the favor of getting my report looked at? In addition to these set expressions, there are some words that also have more polite counterparts. Probably the most important is the politer version of 「ある」, which is 「ござる」. This verb can be used for both inanimate and animate objects. It is neither honorific nor humble but it is a step above 「ある」 in politeness. However, unless you want to sound like a samurai, 「ござる」 is always used in the polite form: 「ございます」. By extension, the politer version of 「です」 is 「でございます」. This is essentially the masu-form conjugation of 「でござる」, which comes from 「である」 literally meaning, “to exist as” (to be covered much later). Over here is my room. This way is my room. The bathroom is on the second floor of this building. Other examples include 「いい」, which is more formally expressed as 「よろしい」. There are also six different ways to say, “I’m sorry” (not counting 「悪いね」 or slight inflection changes like 「すいません」). In addition, the politest suffix for names is 「様」, one level above 「さん」. You won’t be using this suffix too often in actual speech even if you speak to that person in honorific/humble speech. However, expect to use it when writing letters even to people you are somewhat familiar with. Also, service people such as cashiers or waitresses/waiters will normally refer to the customer as 「お客様」. Of course, royalty and deities are always accompanied by 「様」 such as 「神様」. For all other verbs without set expressions, there are conjugation rules to change them into honorific and humble forms. They both involve a common practice of attaching a polite prefix 「御」. In Japanese, there is an practice of attaching an honorific prefix 「御」 to certain (not all) nouns to show politeness. In fact, some words like 「お酒」、 「お茶」、or 「お金」 come with this prefix so often that it’s become practically the word itself. In general, 「御」 is written in hiragana as either 「ご」 for words read as 音読み （e.g. ご意見、ご飯） or 「お」 for words read as 訓読み （e.g. お金、 お仕事）. In fact, you may have been using this prefix already without realizing it like 「お好み焼き」 or 「お土産」. There are some exceptions to this rule such as 「お返事」. Luckily since 「御」 is rarely written in kanji, identifying the exceptions should not really be a problem. The honorific form of verbs that are not among the set honorific expressions given above can be formed in two different ways. This kind of makes sense if you think of it as a person becoming the honorific state of a verb. All subsequent conjugations follow the normal rules of conjugating the u-verb 「なる」. To be honest, this type of sentence formulation is rarely used. Have you seen the teacher? Service people want to be extra polite so they will often use this type of “double honorific” conjugation or 二重敬語 (in this case, the honorific 「召し上がる」 combined with the honorific conjugation). Whether it’s necessary or grammatically proper is another story. You can also use 「下さい」 with a honorific verb by replacing 「になる」 with 「ください」. This is useful for when you want to ask somebody to do something but still use a honorific verb. 少々お待ちください。- Please wait a moment. Please be careful of the closing doors. You’ve probably already heard the first example many times before but now you know exactly where it comes from. Teacher, there’s something I want to ask you. Sorry, I made you wait (causative form). We’ll be holding on [from?] your 1000 yen. You’ll hear something like example 4 when, for example, you need to get change after paying 1000 yen. Again, the 二重敬語 where 「する」 has been converted to the humble 「致す」 form when it’s already in the お+stem+する humble form. Some Japanese people complain that this makes no sense and that 「から」 should really be 「を」. We learned how to make polite requests using 「～ください」 in a previous section and we just looked at how to use honorific verbs with requests as well. However, there is yet another way to make requests using honorific verbs. This grammar only applies to the honorific verbs with special 「～ます」 conjugations that we just covered. This includes 「下さる」、「いらっしゃる」、「なさる」、and 「おっしゃる」. I’ve never actually seen this used with 「おっしゃる」, but it is grammatically possible. 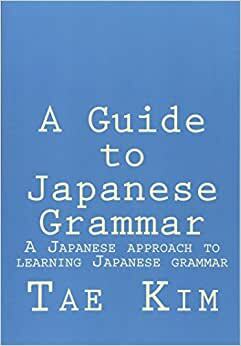 Now you finally know where grammar such as 「しなさい」 and 「してください」 actually came from. Let’s look at a few quick examples. You’ll probably hear this one a million times every time you enter some kind of store in Japan.